Hello, guys and dolls! I'm back, and boy, does it feel good! A couple of weeks ago I received an unexpected surprise in the mail from Anastasia Beverly Hills. If you're familiar with the brand, you know that they are known for their high quality eyebrow products, and other luxury items. Upon opening the package, my eyes were in for a treat! The HyperColor line has expanded with new brow and lash tints! 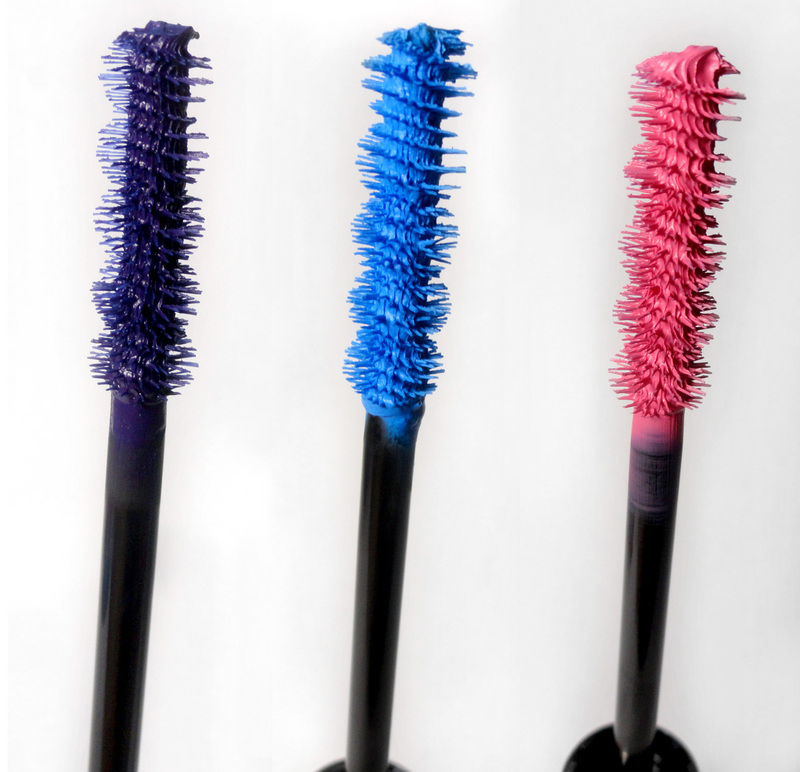 These are perfect for those with brightly colored hair, or those who want to rock neon lashes or brows, just because! If you're interested in reading my review on their hair and brow powder, then click here. One of the things I love most about the HyperColor products is the amazing packaging. I absolutely love rainbow anything, so the holographic design really does it for me. It's also nice to see a very respected and glamorous line have a little fun with their products. The Anastasia HyperColor Brow and Lash Tints come in three bold and beautiful shades: Ultra Violet, Electric Blue and In the Pink (cheeky!). They are individually packaged and each come with a bonus Mini Lash Genius Clear Waterproof Topcoat to instantly set and waterproof your brows and lashes. NET WT. 8 ml / 0.27 fl. oz. *contains carmine as a color additive." The most wearable of the bunch. Ultra-Violet is a deep purple that looks great with brown eyes. Electric Blue is a super vivid blue that is definitely eye-catching. In the Pink is not quite hot pink, but still beautiful nonetheless. The mini Lash Genius is a nice little bonus for the Lash Tints, especially if you're going to be wearing them on a daily basis. Anastasia claims that the topcoat instantly waterproofs, refreshes, and protects any mascara all day, without the typical drying or clumping. Its advanced, lightweight formula glides on smooth, dries quickly, and gives your lashes a touchably soft lacquer finish that lasts all day. 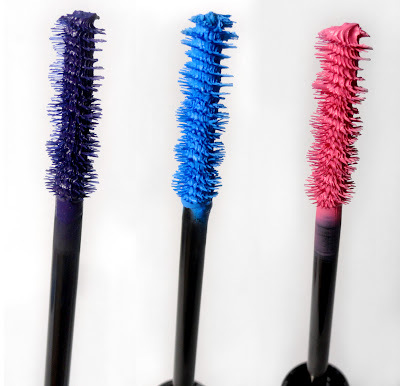 The bristles are similar to the Lash Tints, however it doesn't have the spiral design. I gave this a test spin for a few days, and although it doesn't live up to most water-proof specific mascaras out there, it did a decent job. It didn't make my lashes feel hard or spider-y, but I did notice that it didn't make my mascara completely water-proof. If anything, it made it water-resistant, and it also does a great job at refreshing mascara that's been on for hours on end that need a pick me up. Dermatologist tested, hypoallergenic, paraben-free, and fragrance-free. If you've been looking for some seriously bold mascaras and/or an alternative to filling in your brows with pencil or powder, then I definitely think you should try these out! Not only are they fun, but are of excellent quality. I really don't think you'll be disappointed I'm totally planning on wearing some of these in the summer time when I don't feel like doing a full-on eye look, especially the purple shade! It's gorgeous. 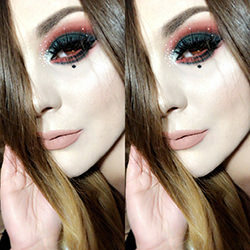 Even an ombre brow or lash would be fun! I cannot wait to play with these on upcoming looks as well. HyperColor Brow Tints are available for $22.00 USD each over at www.anastasia.net! What are your thoughts on these bright lash and brow tints? How would you wear them? I'd love to know! I hope you're all doing swell, by the way. I missed you all dearly! i wish they had a red! i'd feel better about my brows after i get my hair colored if i had a nice crazy red alternative rather than doing my brows dark brown!! These look so fun! I love the violet one, i think that one would look nice with my greenish eyes. And I'm so glad you're back! I've really missed reading your posts! I just got these too, they are so fun! I love combining the mascara with the brow powder for the most intensely colored brows EVER. You could totally pull off the purple as a fairly normal look, jealous! I would love to try these! So amazing! I probably wouldn't use them for my brows though, I would use them as mascara, like you have. Crazy pigmentation! Thanks for the review Ronnie!